Chinese smartphone manufacturer Xiaomi is about to take the camera battles to another dimension, with the company expected to launch a phone with a 48-megapixel camera. This new smartphone is expected to be introduced in January 2019. Xiaomi president Lin Bin took to Weibo via his ceramic Mix 3 slider -- to post a close-up photo of what appears to be a phone with a 48-megapixel camera plus dual LED flash. Xiaomi could very well end up having the world's first smartphone with a 48-megapixel camera, and chances are it'll feature either Sony's IMX586 or Samsung's ISOCELL Bright GM1 (or both). Lin didn’t share much else about the phone. He only revealed it is expected to launch this January, which, if it does, would make the device the first 48-megapixel phone camera in the world. Recent Huawei Mate 20 Pro and P20 Pro maxing out at 40 megapixels. The image, of course, does not reveal how many sensors will be part of the camera module but does show the camera will be raised a little. According to the picture posted by Lin Bin, it will have a vertical camera with LED flash. It might be safe to say that the phone features more than one sensor, seeing how an increasing number of Android phones feature at least two rear cameras. There is no further information about this phone except the camera. 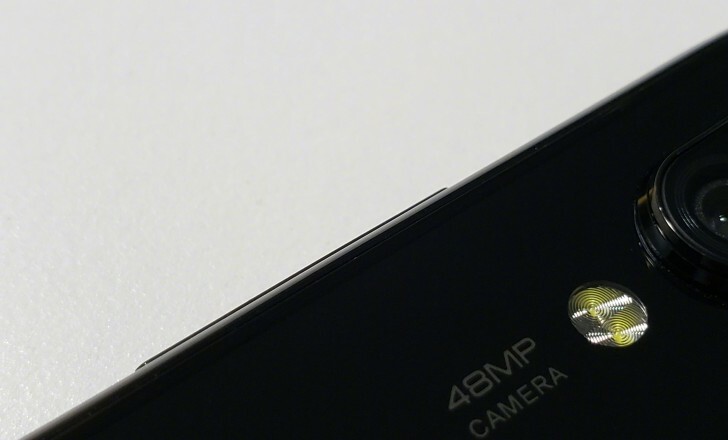 This is the first time a Xiaomi smartphone with 48-megapixel camera has been teased officially, so the details are scarce. Sony has the IMX586 sensor that comes with 48-megapixel resolution, as does the Samsung ISOCELL Bright GM1 sensor. We can see the volume rocker on the side, suggesting the ’48MP Camera’ will be etched below a vertically stacked camera setup. The image, of course, does not reveal how many sensors will be part of the camera module but does show the camera will be raised a little. While there is no word yet regarding which smartphone will become the brand’s first with a 48-megapixel sensor, though it can be speculated that it will be a flagship product. The next flagship handsets expected in the brand’s portfolio are the successor the Mi 8 as well as the 5G variant of the Mi MIX 3 model. However, it looks like we will have to wait till January to find out which model it will be since not much of the former’s specifications have not been leaked yet, while the latter is not expected to have a 48-megapixel shooter.